The president responded directly to the comments in a pair of tweets Wednesday afternoon. "Sorry Chief Justice John Roberts, but you do indeed have 'Obama judges,' and they have a much different point of view than the people who are charged with the safety of our country," Trump said. The president returned to the topic Twitter about an hour later, calling the 9th Circuit a "terrible, costly and dangerous disgrace. It has become a dumping ground for certain lawyers looking for easy wins and delays. Much talk over dividing up the 9th Circuit into 2 or 3 Circuits. Too big!" The president has previously claimed that the 9th Circuit Court of Appeals is the most overturned court in the system, but while it is often overturned it doesn’t have the highest rate as the president claims, according to SCOTUS blog counts. 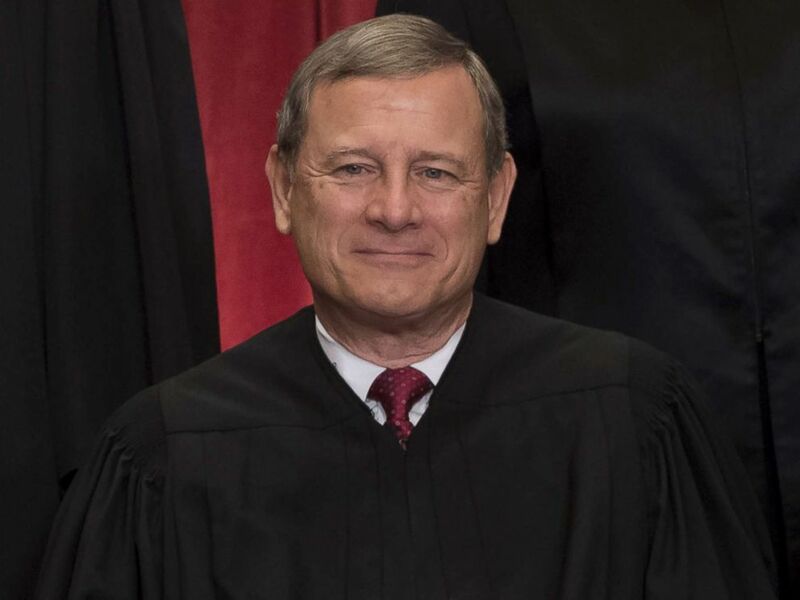 Roberts originally responded when Trump on Tuesday blasted a federal judge's ruling that blocks new restrictions on asylum that he announced earlier this month, calling the court "not fair" and predicting he would win in the Supreme Court. He called the judge as an "Obama judge" and then lit into the 9th Circuit Court of Appeals, the judges who would consider an appeal of the district judge's order. Chief Justice of the United States John G. Roberts sits for an official photo in the Supreme Court in Washington, June 1, 2017. "The 9th circuit is something we have to take a look at because it is not fair," Trump said. The appeals court, which has jurisdiction over a swath of California, has previously ruled against the Trump administration on a number of immigration policies. "People should not be allowed to immediately run to this very friendly circuit and file their case -- and you people know better than anybody what is happening is a disgrace, in my opinion, it is a disgrace what happens with the 9th Circuit. We will win that case in the Supreme Court of the United States," Trump said. The president's travel ban for majority-Muslim countries was blocked by judges in the 9th Circuit, but the Supreme Court later ruled the action was within the president's authority.